The undulating Circuit de Spa-Francorchamps produced ripples of equal magnitude in qualifying this afternoon, as constantly changing conditions saw Kimi and Romain clinch P8 / P7 respectively on tomorrow’s grid. Alan Permane, Trackside Operations Director: “It was a frustrating session for the team. The weather conditions were difficult, but the same for everyone. 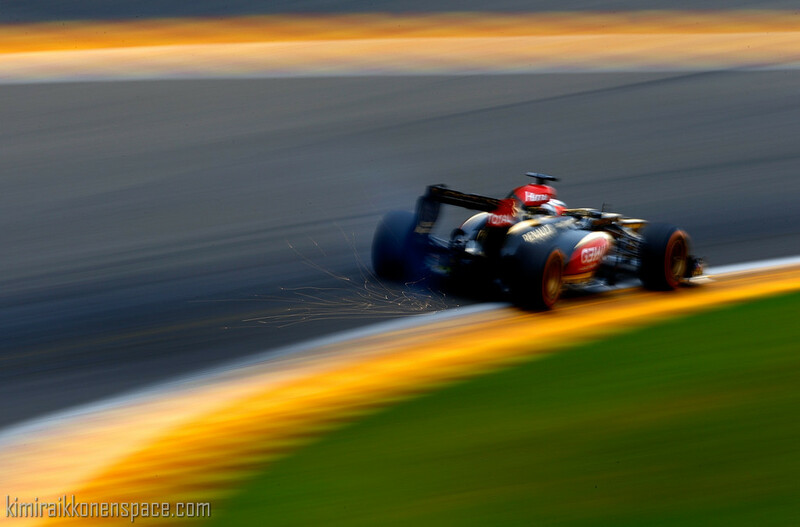 We displayed great pace in the dry with Kimi fastest in Q2, but unfortunately the rain returned for the final phase. We tried to get a lap in right at the start on dry tyres, but the rain beat the start of the session so we had to change to intermediates. Seventh and eighth on the grid isn’t where we want to be, but at least we’re in the top ten.